*Multiple Languages Translation: Support up to 28 languages translation, each language can be translated to each other. Real-time and fast, accuracy up to 95%,Built-in 10 system languages. Easy to meet your multilingual translation needs so that you will no longer feel embarrassed about transnational communication. *Smart Voice Interaction: Network translation through 4G network and WiFi. 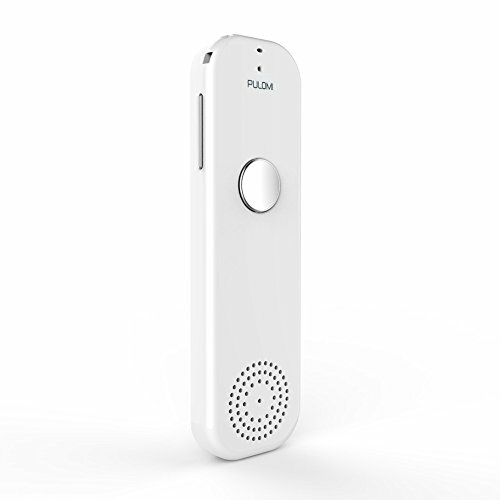 Press the button on the device and hold it till you finished your speech; it will recognize what you said and speak out loud the translation result. Let you no worry about the noise from party etc. when it translates it translates it audibly. 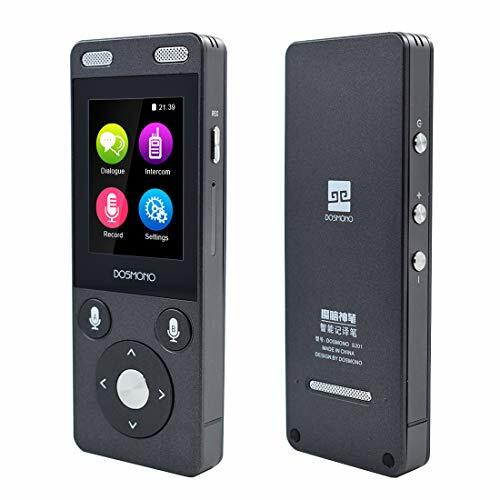 *HIFI Recording Sound Quality: built-in HIFI speaker, high-definition recording, automatic recognition of noise, always keep voice clear. 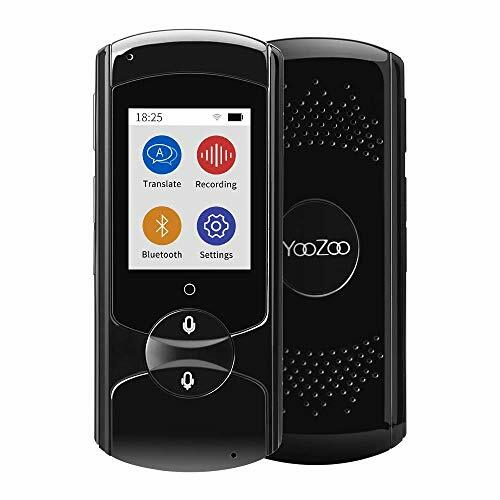 *Long Battery Life: Built-in 1250 mAh battery, ensures super endurance to meet your travelling needs, support working time for up to 8 hours and standby time for up to 8 days. WHAT YOU NEED: Do you love to travel, work in an international environment or you would like to learn new languages? 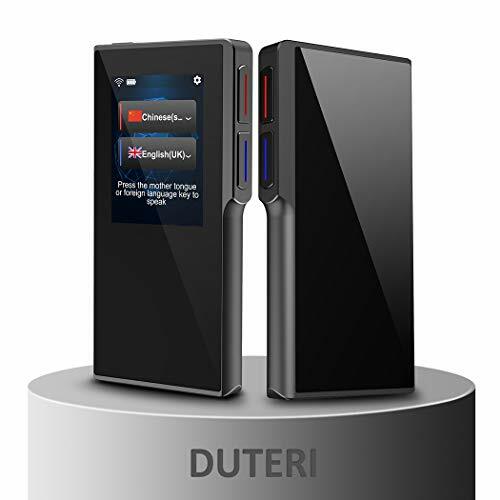 We have the perfect solution for you: the Supreme portable headphone translator, the simple device that translates your conversations in real-time! 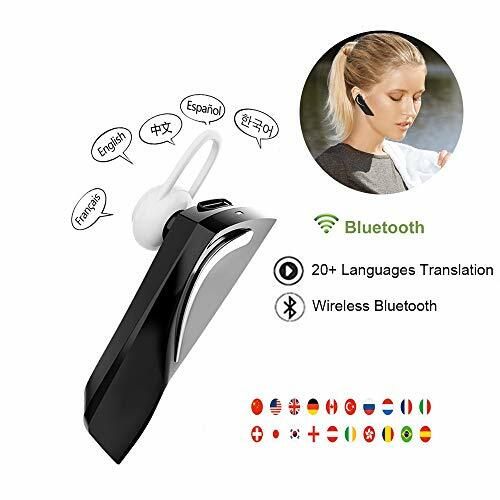 EASY TO USE: Our top Bluetooth translator headphone works with an iOS and Android compatible app that, once connected, translates for you any conversation including verbal & visual elements. 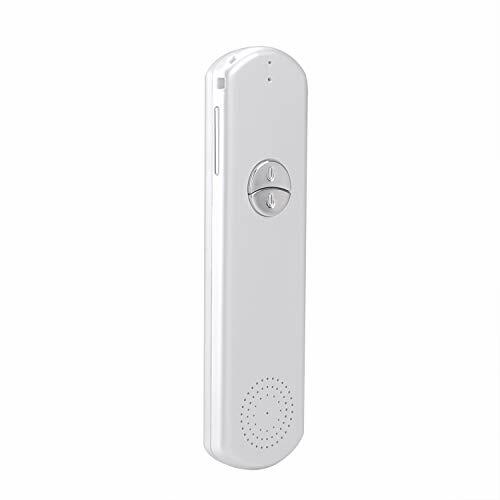 Moreover, the headset can be used to also answer calls directly. 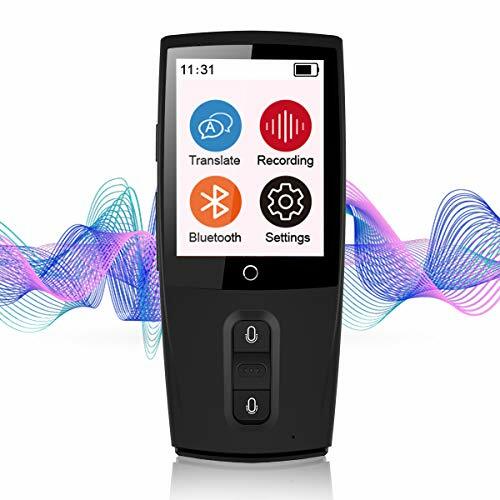 5 TRANSLATION MODES: One of the best parts about the Supreme real-time translating device is that you can use it in five different modes: face-to-face translation, group translation, instant translation, broadcast translation and language tutor! 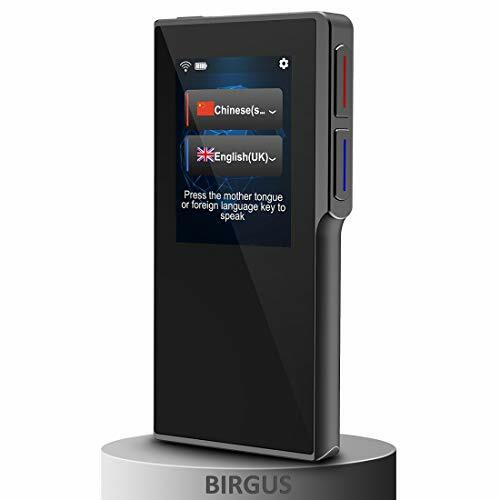 MULTIPLE LANGUAGES: Because you never know what language your next business partner may speak, the real-time translation gadget has no less than 30 language options you can choose from for an effortless conversation. 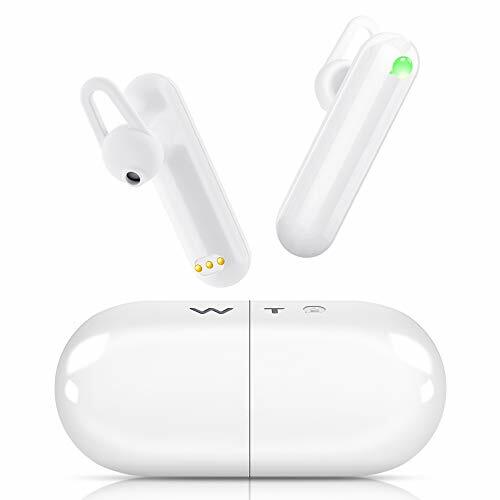 GREAT EARPHONE: Not only is the Supreme headphone a great translation earpiece, but it also ensures clear and stable phone calls. The design is ergon and lightweight, being comfortable for your ear. The battery can last up to 5 hours and is easy to recharge. 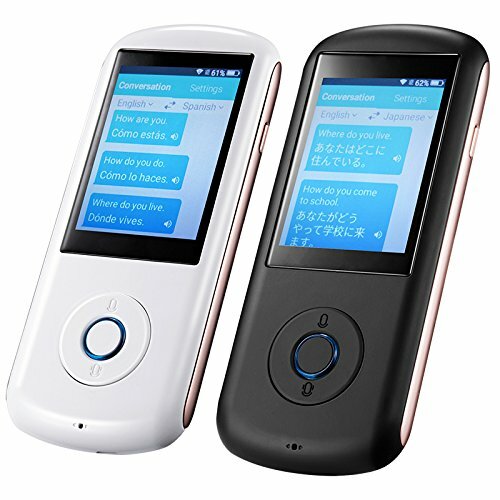 ◆INSTANT TRANSLATOR DEVICE,it is important for old people,When they go out and have trouble, it's hard for them to find help. With this translator,it will help them a lot. 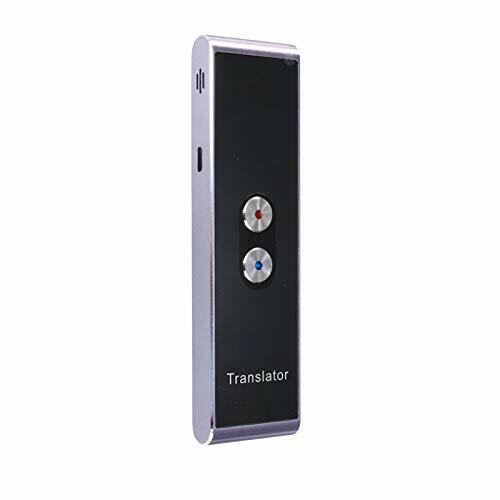 ◆SIMULTANEOUS TRANSLATION ,use itwhen traveling to non-English speaking places.use it to learn new languages.to practice pronunciation,Widely used in travelling, shopping, entertainment, friends-making, learning foreign languages and other scenes. 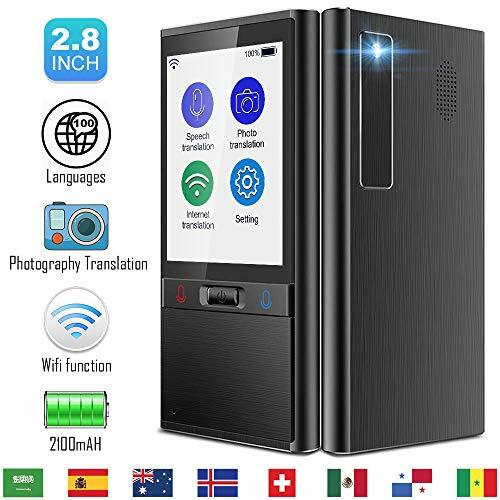 Smart Instant Translator Device -- it is with two-way translation,it will recognize what you said and speak out loud the translation result, it's 98% accurate.Use it when traveling to non-English speaking places. 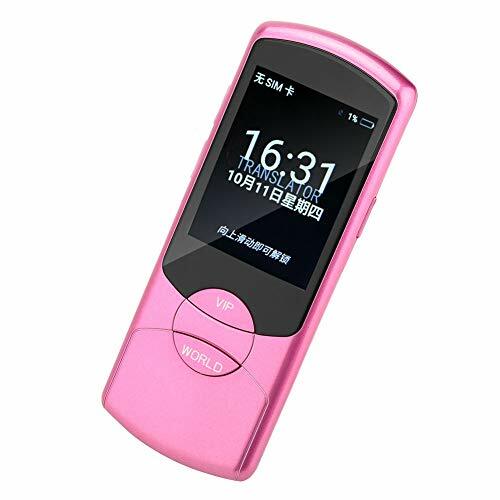 Light and portable easy to carry -- It is more like a small size phone, weight only 98.5g. 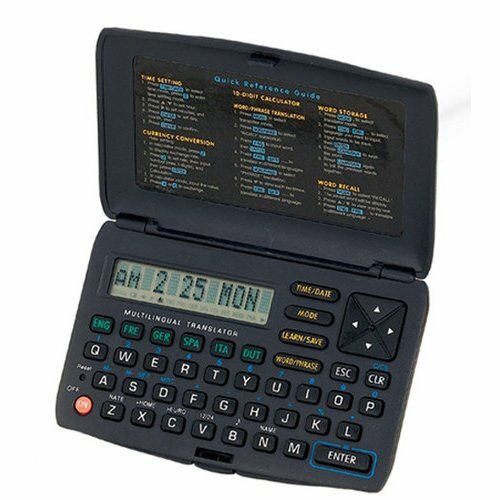 Traveling in your pocket at any time, it will become your personal language secretary. Whether it's learning, making friends, business, traveling abroad, it will help you more. It is a gift box, so it is very suitable as a gift, this price is very worthwhile. No More Language Barriers: Over 50.000 Users Have Broken Language Barriers with Travis. 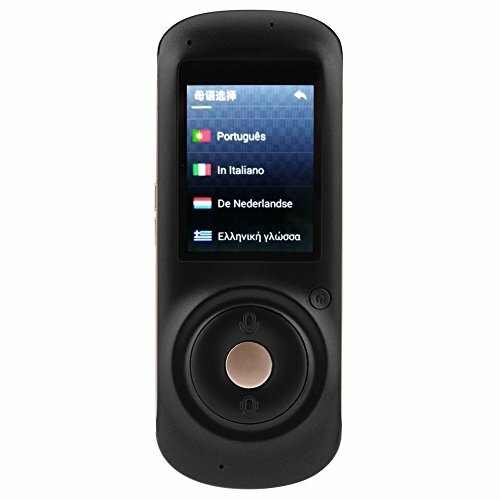 This Voice Translator device provides 45 languages mutual translation and the biggest vocabulary. With the Neural Machine Translation technique, it responds in 0.3 second with 98% accuracy. 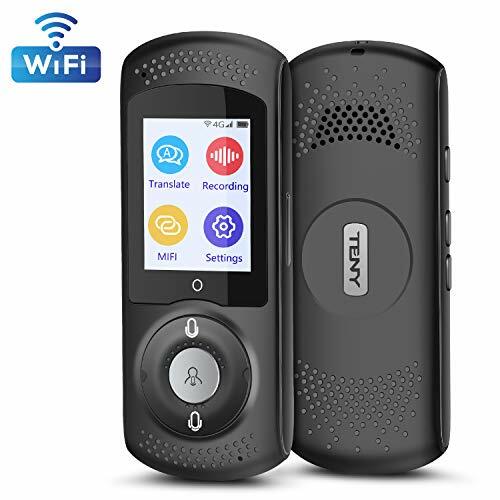 This Voice Translator device supports Wi-Fi and Hotspot connection, no APP is needed. 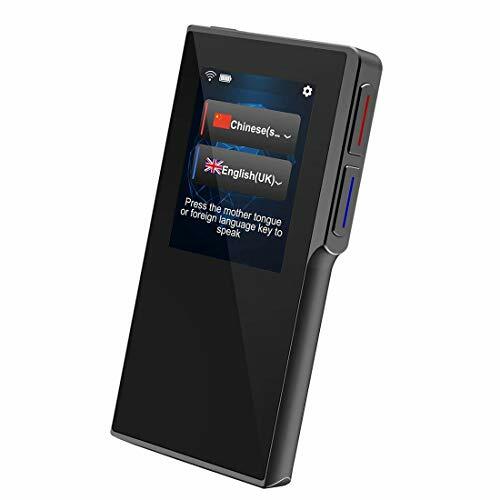 It has 2.4-inch HD touch screen, Voice translates your speech into another language in real time, and supports playback with one-click. 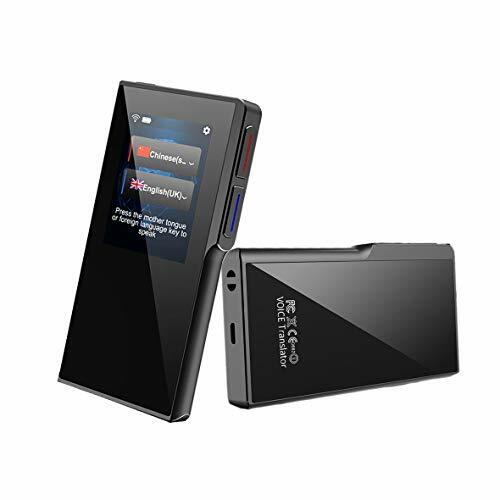 1200mah polymer battery lasts up to 7 days standby time, 6 hours working time. The weight is only 3.4 ounces, which is very convenient to carry. 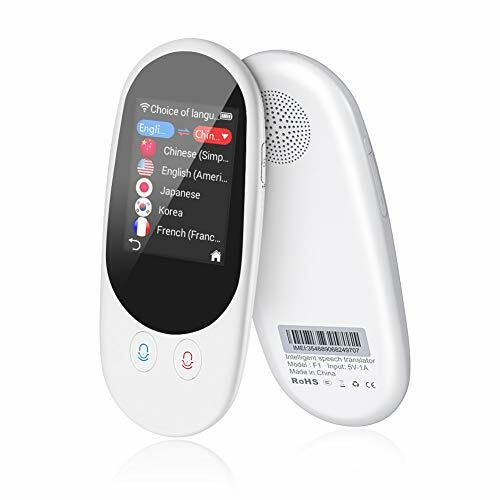 Handheld and Easy in Pocket,Voice Translator device,you get to use for Learning, Travelling, Business Meeting and etc. 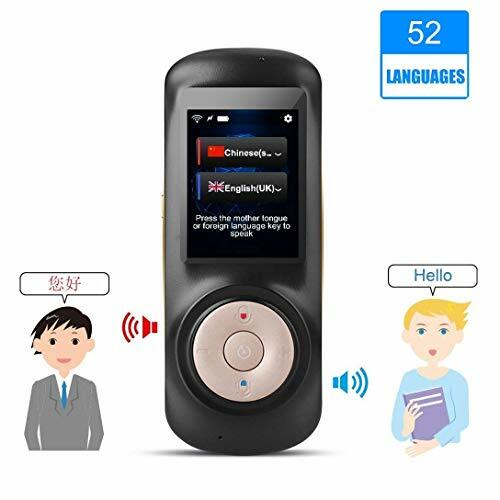 【INTELLIGENT VOICE INTERPRETER】Simultaneous two-way translation in 52 languages ,it will recognize what you said and speak out loudly the translation result,it's 98% accurate both for words and sentences. 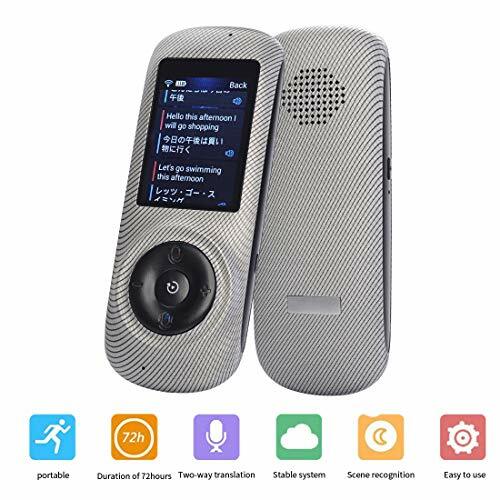 【REAL TIME VOICE AND TEXT TRANSLATION】With 2.4inch High-definition touch screen,when it translates your voice by audio,at the same time it translates into text on the display,this is really help for when you are talking with hearing disable person. 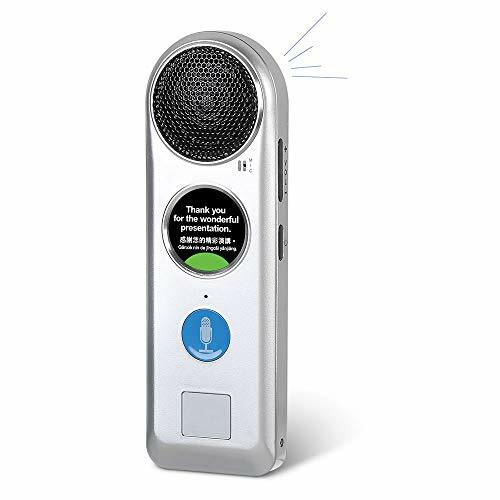 【SMART TRANSLATOR】Easy Operation,no need to install app to your mobile,just connect this device with WIFI to start your translation.The noise-reducing microphone design make voice loud and clear. 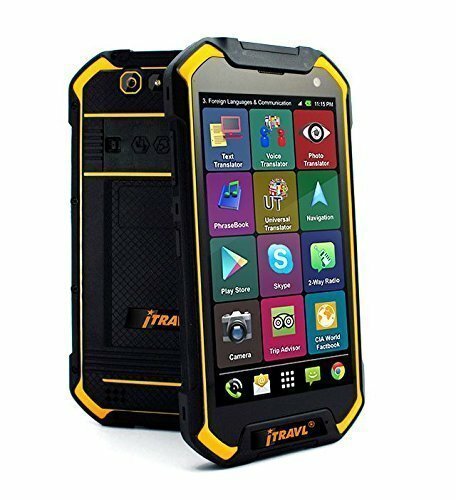 Large capacity (1200mAh) battery support standby time over 7 days and continually working more than 8 hours. 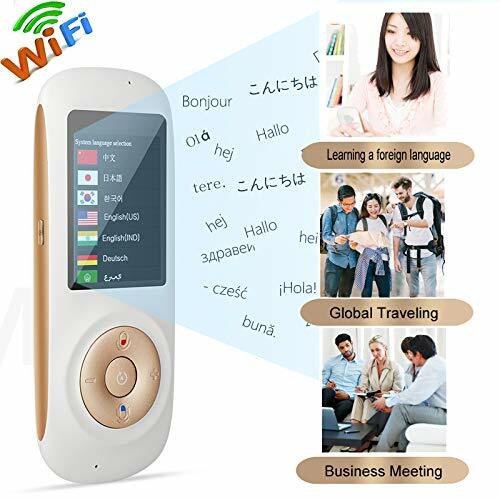 【LANGUAGE TRANSLATOR】You will find it's very useful when you traveling abroad,making foreign friends,learning new languages or practicing pronunciation.Widely applicable for traveling,shopping,business negotiation,friends-making,language learning etc. 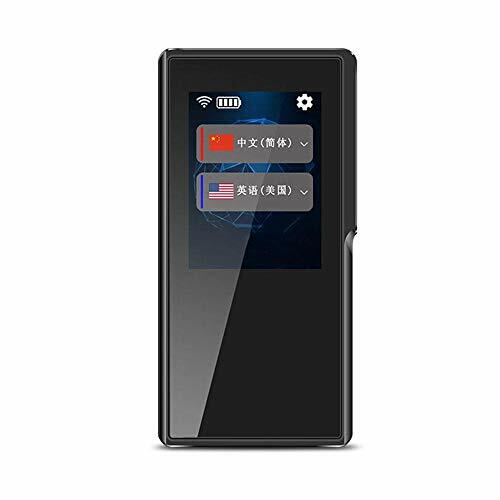 【WHY NOT BUY IT NOW】We support our best service,high quality products and 12 months warranty.If you have any questions with our product,pls do not hesitate to contact us,we will try our best to help you and reply within 24hours. 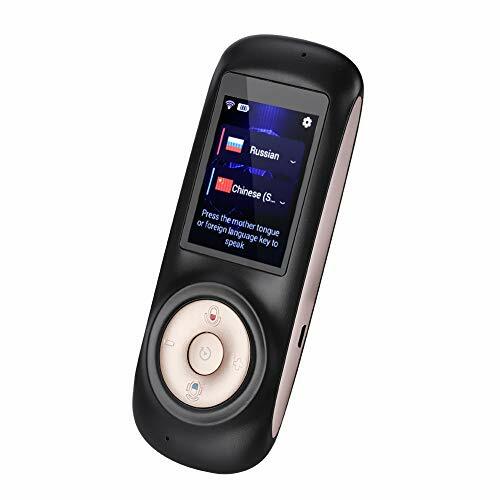 2.4 Inch Touch Screen: Easy to use, Travis works intuitively and translates 105 languages. Travis also shows the written translation. 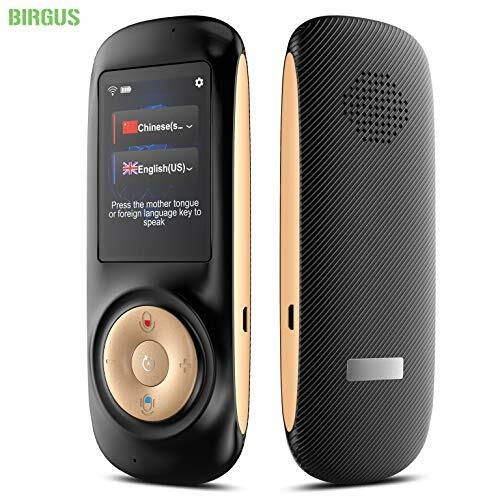 Works Online and Offline: Wifi, 4G LTE & Bluetooth. (simcard not provided) Stay connected right when you need it. No internet? No problem! Travis also works offline. 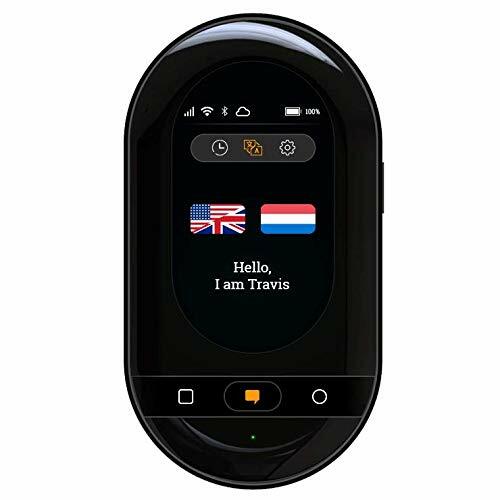 Two-way Translations: Travis Touch instantly translates what you say and the reply of your conversation partner. Dual Noise-Cancelling Microphones & Wireless Charging. 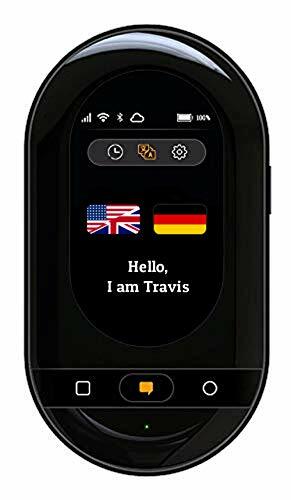 Portable Hotspot Mode: Use Travis Touch as a mobile internet hotspot with up to 11 mobile devices when a SIM card is inserted. 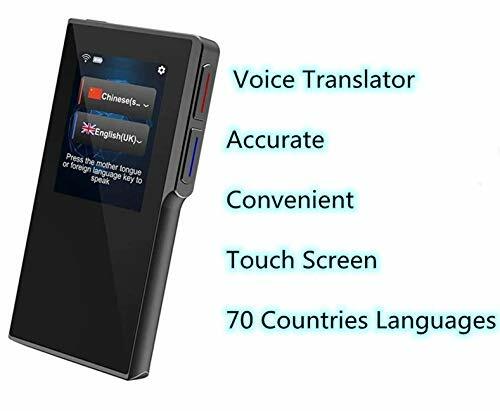 Optimized for Two-way Translation- It can translate both sides of a spoken conversation between 2 languages with the text display on screen and also view history speech by touch screen. 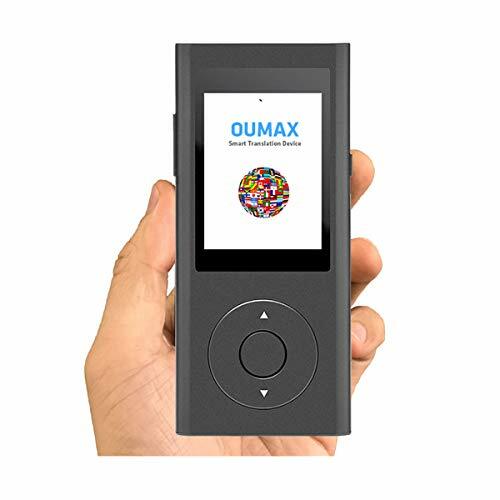 Supports 38 languages and More - OUMAX TD02 can translates up to 38 languages instantly in world wide and more languages will be supported and updated by future upgrade. Seamless Connection through WIFI/4G/3G - Always online and always keep update to get latest translate engines and data. Never Lost. 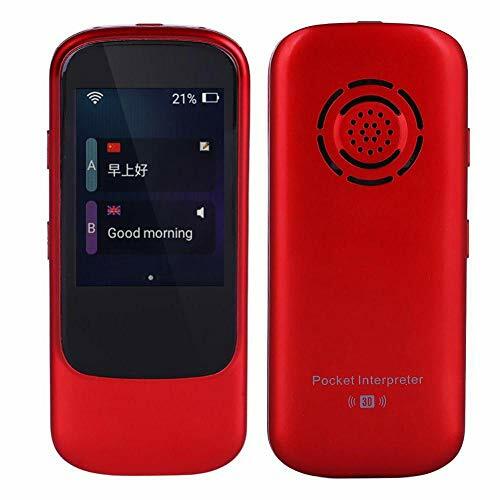 ◆Pocket translators,it is important for old people,When they go out and have trouble, it's hard for them to find help. With this translator,it will help them a lot. 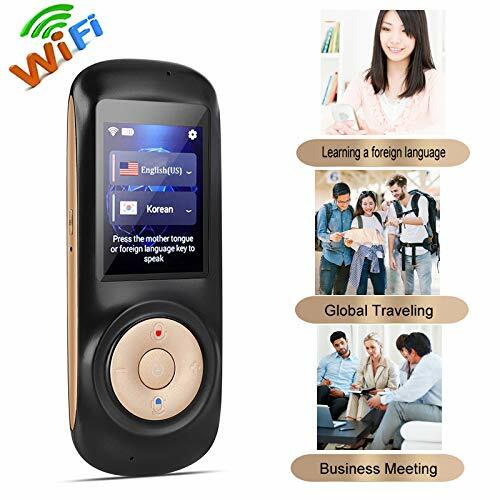 ◆Smart language translator device ,use itwhen traveling to non-English speaking places.use it to learn new languages.to practice pronunciation,Widely used in travelling, shopping, entertainment, friends-making, learning foreign languages and other scenes. 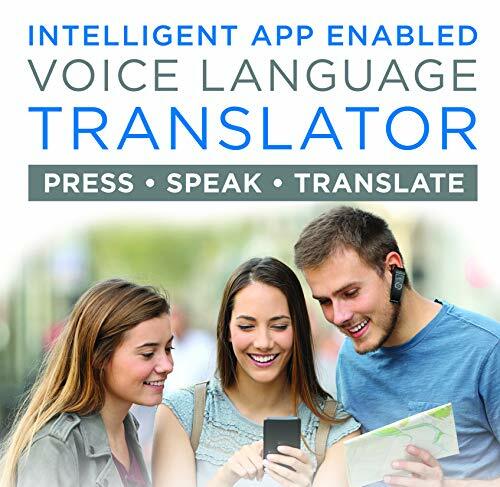 【INTELLIGENT VOICE INTERPRETER】Simultaneous two-way translation in 70 languages ,it will recognize what you said and speak out loudly the translation result,it's 98% accurate both for words and sentences. 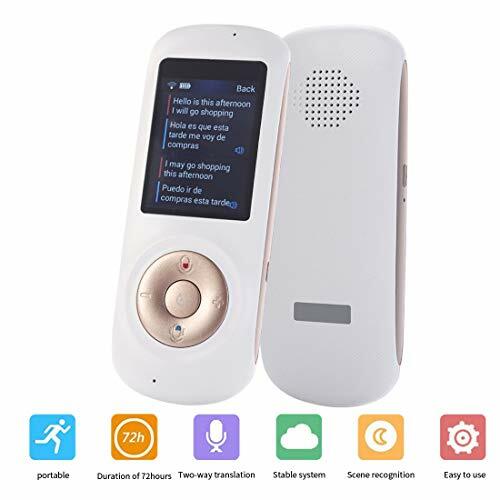 This voice translator with super mini design,very easy to portable for talking speaking,you can put it in your pocket,wallet etc.it can also be used as a wireless bluetooth speaker with crystal clear sound. 52 languages(Chinese,English,Hindi,Russian,Spanish,Thai,Korean,Japanese,German,French,Italian,Arabic,Portuguese,Danish,Czech,Iceland,Croatian,Afrikaans,Indonesian,Tamil,Catalan,Filipino,Hungarian,Dutch,norwegian,Polish,Romanian,Slovak,Finnish,Swedish,Vietnamese,Turkish,greek,Serb,Ukrainian,Armenian,Khmer,Latvian,Nepali,Sinhalese,swahili,Tamil...),but Slovenia,Galician,Zulu,Lithuanian,Bulgarian,Hebrew,farsi,Basque can display text only,we are updating them now,maybe it will resolve soon. 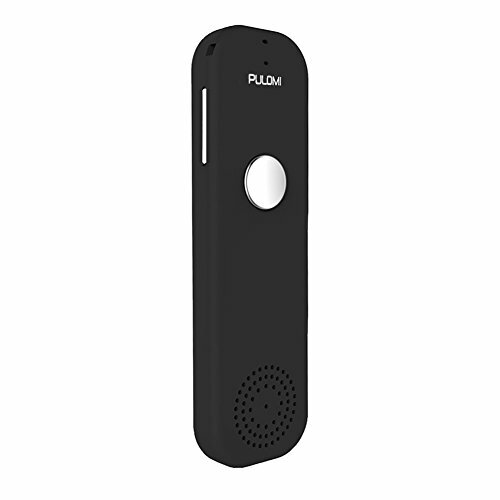 With high senstive and fidelity speaker,push the button on the device and hold it till you finished your speech,it will recognize what you said and speak out loud the translation result.let you no worry about the noise from party etc.when it translates it translates it audibly,but into text,on your phone as well and can replay.this helpful for learning more words in other languages and to practice pronounciation.And,if who you are talking with has limited hearing,that is helpful to them,as well. 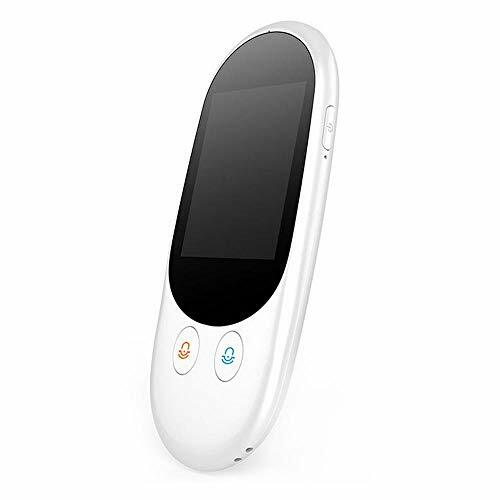 Just three steps, you can use it well.1,Connet the translator and mobile phone through bluetooth.2,IPhone: search "TT fayuo" in APP Store,Android: search "TT fayuo" in google play.3,Enter APP,wait for the top of the interface to turn green(or use manual connection is more fast).Then choose the language in which you speak to each other.On the left is the language of your own speech, and on the right is the language of the other person. 52 languages(Chinese,English,Hindi,Russian,Spanish,Thai,Korean,Japanese,German,French,Italian,Arabic,Portuguese,Danish,Czech,Iceland,Croatian,Afrikaans,Indonesian,Tamil,Catalan,Filipino,Hungarian,Dutch,norwegian,Polish,Romanian,Slovak,Finnish,Swedish,Vietnamese,Turkish,greek,Serb,Ukrainian,Armenian,Khmer,Latvian,Nepali,Sinhalese,swahili,Tamil...)but Slovenia,Galician,Zulu,Lithuanian,Bulgarian,Hebrew,farsi,Basque can display text only,we are updating them now,maybe it will resolve soon. A must have for every traveler!